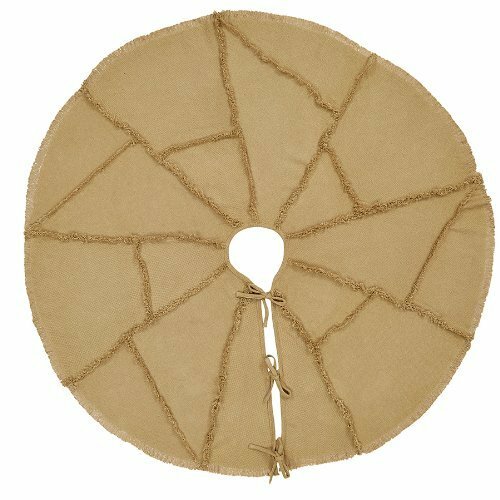 Bring a timeless homespun charm to your Christmas tree this year with the Burlap Natural Reverse Seam Tree Skirt 49. The random sized patches are diversified by unique reverse seam edges. If you have any questions about this product by VHC Brands, contact us by completing and submitting the form below. If you are looking for a specif part number, please include it with your message. Red Burlap Ruffled Mini Xmas Tree Skirt 21"